The secret to crushing local search? Look to your phone, because that’s where your customers are looking. Here’s how to optimize your site for mobile. With the recent SEO revolution that has taken place, more businesses than ever are trying to rank high in search engine results. However, with global ambitions in mind, many often overlook the importance of local search rankings. Local search engine optimization requires a different strategy to your generic SEO practices. The good news is many of aspects of ranking well in local search are relatively easy to implement and can yield massive results. 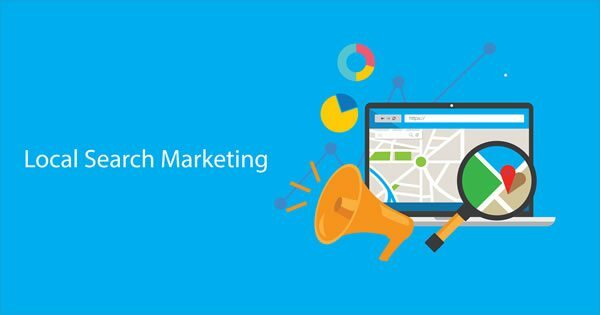 In this post, we are going to outline the importance of local search while also revealing the number 1 secret to dominating your niche locally. Put simply, local search optimization or local SEO are the measures put in place to ensure that people in your geographic area find your business when they look online. Why you should care about local search optimization. For many businesses, ranking well in local search results is an even more important factor than ranking high globally. A brick and mortar business like this relies on people in the local area to come to their establishment. One of the ways they can find out about your business and connect with you is through local search. Even if your business has global potential you may be missing out on a large percentage of clients by not focusing on your local area. Despite the internet opening up global opportunities one of the biggest factors of low conversion rates is clients not trusting the businesses they find online. However, if a client knows the business is local and has the opportunity to call the business or meet face to face (even if they never do) then they are more likely to trust the business and become customers. The number 1 secret to dominating local search. We aren’t going to hold out on you any longer. It’s time to let you in on the number 1 secret to dominating local search. Drumroll, please. Recent studies have shown that users are searching on their mobile devices more than their desktop computers or laptops. This is incredibly important for your business as it changes the way your potential customers are interacting with you online. Believe it or not, this is actually great news for your local business! It has been proven that mobile users have higher conversion rates than desktop users, often reaching a massive 80%, meaning that you can benefit from this relatively new user-change. How to optimize your site for local search. We believe that combining a local search optimization strategy with mobile optimization may lead to the massive boom in your business you have been waiting for. Below are some of our insider tips to getting it right. There are some super quick things you can do right away that can have an immediate and huge result. By following Google’s step by step system, you can easily register your business with the biggest search engine in the world, for free. This will help you appear in search results but will also literally put you on the map – Google maps that is – so people can find you easier. Name, address, phone number, opening hours, and photographs will now be easily accessible in the local search results after completing this step. Not only will this attract new customers, but also allow you to give them a flavor of your business before they walk through the door. This also is a neat way to gain some customer reviews you can use to show off how awesome your business is. Yelp, Apple Maps, Bing, Yahoo, TripAdvisor – even Craigslist – can help bump you up in the local search results and act as another signpost to point potential clients your way. It doesn’t take too long to register on these sites and is well worth the effort. With over 50 million businesses using Facebook, it is almost perilous in this day and age not to have a social media presence for your company. Asides from your Google business info, many customers will also check you out on social media before they decide whether or not to go and visit you or use your services. Don’t go overboard here, just make sure you have a clean, consistent online presence on the major platforms and most importantly that your business details are up to date on each social media site. 2. Keep up to speed. The New York Times reports that users will abandon a web page if it takes too long to load. That means after going to all the hard work to get someone to actually click on your site you may be falling at the last hurdle. As websites are catching up to the influx of mobile internet use, many websites have failed to keep up to speed. You can use this free tool from Google to quickly see if your website is mobile friendly and running at a healthy speed. Install a mobile friendly theme. Reduce the number of plugins on your site. Upgrade your current hosting plan. While having specific keywords may help you rank globally in a certain niche, it may be killing your chances of dominating local mobile search. Users tend to type shorter phrases into Google when using their mobile device. With this in mind, it may affect your keyword SEO strategy going forward and even how you craft your content. Paying attention to your analytics and running a few experiments will tell you what the best path is for your business to take. Remember to focus on conversion rates rather than traffic! Just because you have a large desktop audience doesn’t mean you won’t turn over a higher profit with the local search queries from mobile users. 4. Create mobile friendly content for your site. With the majority of users visiting your site on their mobile it is crucial that the content is mobile-friendly. Optimizing your blog posts to be more visually stimulating for mobile readers can lead to great results. Through the use of headers, quotes and writing short snappy sentences rather than large blocks of text may lead to better mobile engagement. Instagram is living proof that users love to access visual content on their mobile devices. Buzzsumo revealed that having at least one image in your content will lead to it being shared more times. By making use of photographs or infographics you can tap into this organic traffic. Just be sure that you optimize your images properly for the web so they don’t slow down your page. More users are watching video on their mobile devices than ever before. The environment in which mobiles are used may have a role to play in that. Desktops are becoming more and more associated with work while mobile devices are linked to leisure, relaxation, and play. The rise of Youtube and Netflix bingeing on mobile devices is a testimony to this. By creating a video for your businesses website you may find an increase in engagement among mobile users. Video also has a high potential to go viral due to the shareable nature of the content. For many small businesses, it can be difficult to hone in on optimizing your website and improving your search results. Time, money and even lack of skills can play a role in holding your business back when it comes to ranking high in local results. Thankfully we at Higgens Media strive to make things like content creation, website maintenance, and even video production accessible for small to medium sized businesses. We offer a wide range of services starting with a free estimate to help you move your business one step closer to dominating local search results. Thanks so much for reading our number 1 secret to dominating local search. We hope it inspired you to take action to start gaining more local clients. Like most SEO strategies, the early benefits may be small but they have potential to amass into huge rewards and success for your business. Think of it as a snowball effect. Please feel free to contact us at any time. We are always available to assist you with your business needs whether it be local search engine strategy, content creation or mobile site optimization.